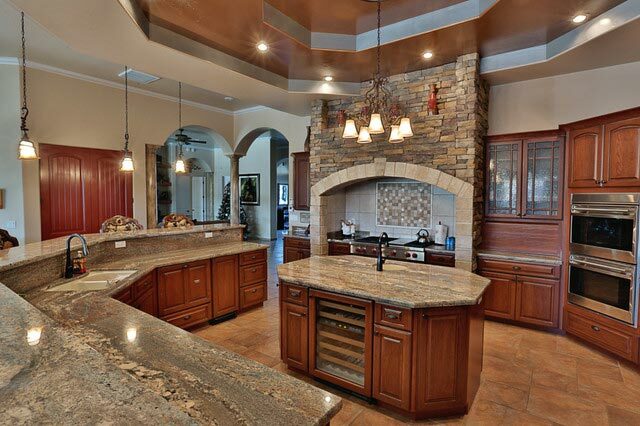 In recent years, granite has been the standard of luxury and is highly sought after, even among other stone countertops. Granite comes in a variety of colors and patterns, and usually showcases the stone’s characteristic movement and graininess. The only natural stones harder than granite are rubies, diamonds and sapphires. It is highly heat, scratch, and stain resistant. It will need to be sealed at least annually because of its porosity. Granite will forever be appreciated and will add value to any project. Entry level granite can be one of the most cost effective solutions for any stone project. Whether polished, brushed, or honed, each finish makes its own unique statement. Contact us today to discuss which stone is right for your project, or Visit Our Showroom! M-F: 8 am. to 4 pm. © 2018 Howarth Granite Holdings LLC. All Rights Reserved.